Walk inside this intimate spa and you will drink in the signature scent of Maile, made from the highly fragrant foliage once reserved for Hawaiian royalty. It is the beginning of your heavenly journey at SpaHalekulani,where they infuse the concept of well-being throughout your entire experience, whether you choose to have an amazing 80-minute anti-aging facial or one of their fabulous lomi-lomi massages, spotlighting an evolution of healthy practices to inspire you to live an elevated lifestyle. I chose to take part in their signature Halekulani facial, and it was both extremely relaxing and revitalizing at the same time. It left me feeling renewed and refreshed. 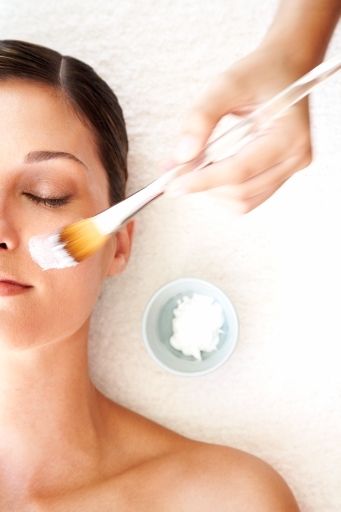 Specifically customized for your own skin care preferences and requirements, they highlight products from Pure Mana Hawaii, located on the Big Island. It is from the only certified organic macadamia nut farm in the U.S. and their formulas are available exclusively for this award-winning spa! Their sustainable skincare combines carefully selected Hawaiian botanicals with potent hand-pressed oils to create a powerful line of nourishing and rejuvenating face and body products. By only using the purest organic locally-sourced farm-grown or wildcrafted ingredients, Pure Mana seeks to cultivate a harmonious synergy between nature’s healing bounty and our bodies’ innate wisdom. Preventing the formation of age spots and damage from ultraviolet rays, it is truly an incredible product line. Tying the knot? SpaHalekulani is an intimate haven for your special day. You and your bridal party will experience the gracious hospitality the spa is known for as their professional yet friendly staff craft an experience as unique as their Waikiki resort spa. They also assist with hair, make up and nail care, for a complete bridal package. Healing traditions have been an integral part of cultures throughout the Pacific for many generations. 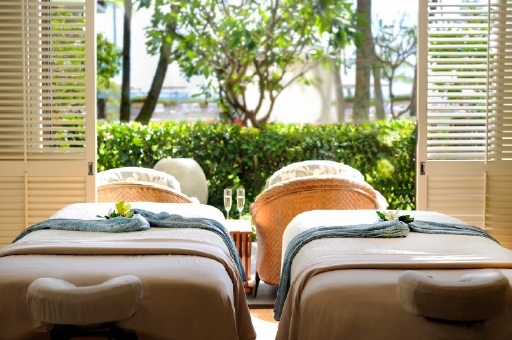 At SpaHalekulani, they have certainly captured the essence, using ingredients for massage that are indigenous to the islands, offering a unique experience. They offer the lomi lomi Hawaiian massage that I mentioned earlier, the nonu Samoan massge, taurami Tahitian massage, and their ho’olele signature massage where they walk on your back in their bare feet—perfect for those like me who prefer deep tissue body work. In addition, the spa provides a collection of Asian therapies to give you a healing experience for your mind, body and spirit. There’s shiatsu Japanese pressure therapy, Zen shiatsu acupressure, Thai massage which are techniques with gentle compressions combined with stretching, as well as Swedish, aromatherapy and prenatal massage. They even offer what they refer to as “four hands delight,” where two therapists work on you at the same time for an incredible “out of body” experience (pun intended). 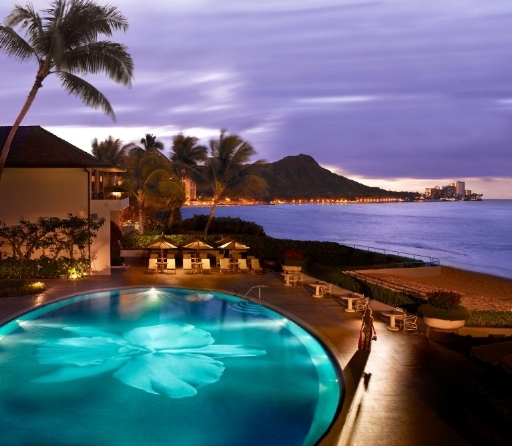 The next time you vacation in Oahu, be sure to visit SpaHalekulani. You will literally be in good hands! 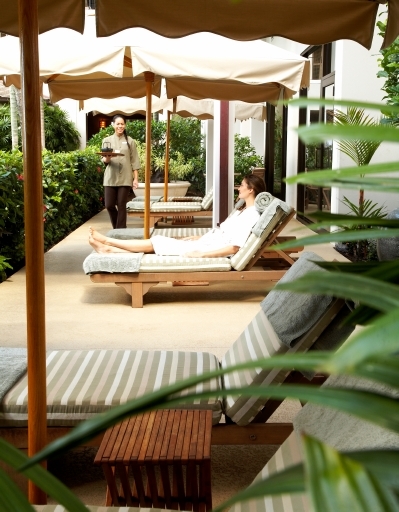 The SpaHalekulani is part of the famous Halekulani Hotel, the most acclaimed of all five-star Hawaiian hotels. For more details, please visit www.halekulani.com. Thank you for reading The Badass Writer!Coming up: A peek at a Hawaiian personal shopping service and our much-anticipated Badass Holiday Gift Guide. Please share this post on social media and subscribe below so you don’t miss a thing!